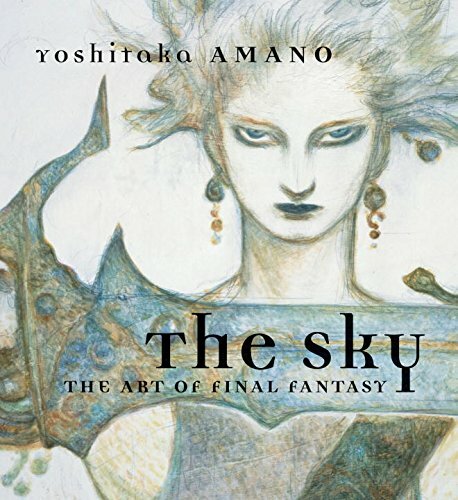 Dark Horse is pleased to offer fans another chance to own the three-book hardcover set The Sky I, II, and III, included in the new The Sky: The Art of Final Fantasy Slipcased Edition! The Sky I, II, and III showcase Amano's ethereal illustrations for the first ten Final Fantasy games! Each hardcover book in The Sky Slipcased Edition is 11 5/8" high by 10 5/8" wide, and printed on glossy stock. Volume 1 contains Amano's work for Final Fantasy I-III. Volume 2 contains his contributions for Final Fantasy IV-VI, and volume 3 features his art for Final Fantasy VII-X. The slipcase containing The Sky I, II, and III features the same wraparound exterior artwork as The Sky Boxed Set, with a double-hinged flap that folds around the open edge and is held flat to the back side with a hidden magnetic closure, making it easy both to remove the books and to display the set closed. Makes a great gift for The Sky: The Art of Final Fantasy fans of all ages!